Losing just one pound involves burning about 3,500 calories, so if you wanted to shift a pound every week you would need to burn around 500 calories per day. This converts to around at least an hour of exercise each day to also ensure the weight stays off, and then the more vigorously you exercise then the more weight you’ll lose. You could choose some moderate exercises, such as dancing, walking and even mowing the lawn. If you choose to up the intensity, by running, skipping, cycling, or some high-impact aerobics, then you’ll burn those calories far quicker. The rate at which you lose weight depends also on how heavy you are before you start your exercise regime. Somebody who weighs 125 pounds will burn around 600 calories an hour doing high-impact step aerobics; whereas a 185-pound person burns 888 pounds per hour. Remember, exercise is crucial for weight loss, but if you don’t have a good diet then all that hard work can be undone in an instant. Ditch the in-between-meal snacks and ensure you stick to whole foods, fresh fruit and vegetables and eat high fat foods such as cheese and stodgy puds in moderation. 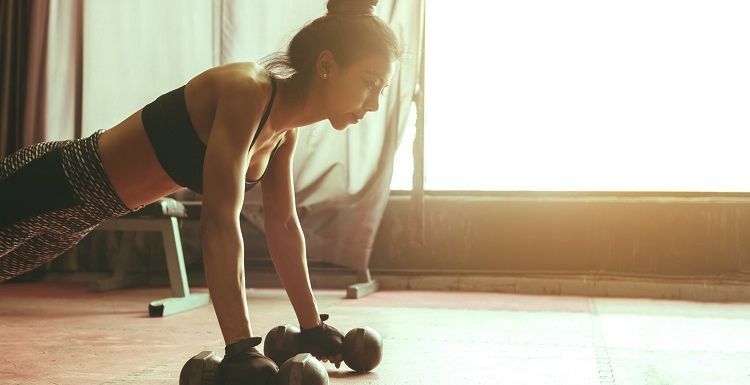 Don't forget to incorporate strength training in your daily routine, as this can increase muscle mass and metabolism so you'll burn more calories, even when you aren't exercising. Try to fit in at least two strength-training workouts per week. Get to the gym where you’ll have access to a wealth of strength training equipment and the motivation to keep you going. snacks and cakes - and bang goes all that effort, quite right. It's a shame it is so easy to put weight on, but a little harder to lose it!